Choice Marketing held their Annual Conference & Trade Show over 3 days in early October at Jurys Hinckley Island Hotel. 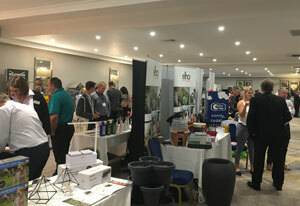 A total of 160 delegates representing members, suppliers and the Greenfingers charity came together in an atmosphere of friendship and co-operation. Michelle de Lavis-Trafford, Choice CEO, extended her thanks to members for their commitment to the Choice ‘Stronger together’ philosophy and for their total support for their suppliers. Three new members who have joined the group since the last Conference were give a warm and enthusiastic welcome. They are Warbreck Garden Centre Ormskirk, Fron Goch Garden Centre North Wales and Fosseway Garden Centre Cotswolds. To the delight of members, she announced that supplier rebates for the 2016/17 season are forecast to exceed £1.5million. Greenfingers held a huge tombola with high quality prizes donated by Choice suppliers. Members, suppliers and even hotel staff and guests all joined in to support this worthy cause. 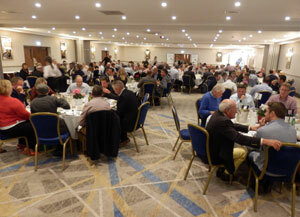 John Ashley, Greenfingers Chairman, announced at the Conference Dinner that the total amount raised was over £1000.